All Mineola homes currently listed for sale in Mineola as of 04/25/2019 are shown below. You can change the search criteria at any time by pressing the 'Change Search' button below. If you have any questions or you would like more information about any Mineola homes for sale or other Mineola real estate, please contact us and one of our knowledgeable Mineola REALTORS® would be pleased to assist you. 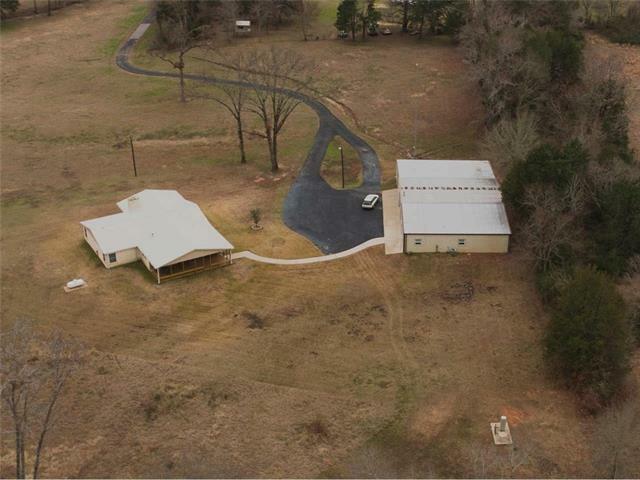 "152 ACRES with 5 crossed fenced pastures of coastal hay WORKING CATTLE RANCH,2 ponds,beautiful hardwoods, & winding creek running through the middle.60x36 hay barn, 60x60 wk shop w 3 16' overhead doors. Cattle barn w corrals,headgate, living area.2 stall horse barn 20x32, equipment shed 27x48. ONE-owner 4 bedroom 3.5 baths 4 car garage home with strong bones that need some love to update. Breathtaking views from every window. The only room upstairs is 4th bedroom w half bath & scenic balcony. St"
"This beautiful property must be sold & sold immediately. All reasonable offers will be considered but you must act soon as possible. Priced BELOW tax appraised value!! 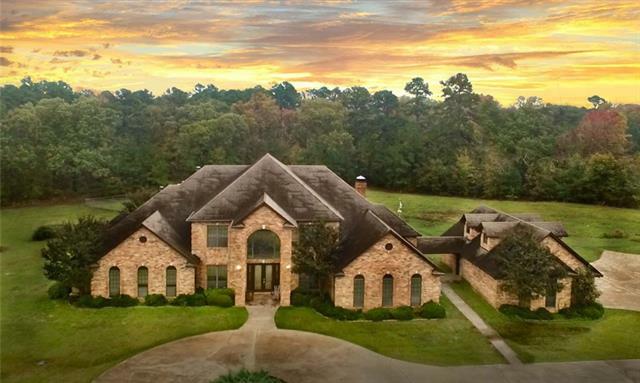 Just 5 miles outside the quaint & popular community of Mineola Texas lies a magnificent estate privately tucked in the middle of a 50-ac tract on its own 5-ac homestead. You are welcomed with the site of a soaring curved staircase to the 2nd floor of 4 bedrooms & 2 baths. Master suite will impress you with large room & sprawling b"
"PROPERTY IS BEING SURVEYED. NEW PRICE TBD (4-6-19). ACREAGE WILL BE SMALLER. NEW ROOF APRIL 2019. SORRY FOR THE INCONVENIENCE BUT PLEASE CHECK BACK WITH US SOON! This 5,217 square feet custom home is waiting for the next homeowners to re-invision of their own updates. Spacious entry welcomes you to tall ceilings, study, great room, game-media room. Exceptionally thought out master suite features fireplace accompanied by sitting area, his-and-her bathrooms and walk-in closets. Discover the "
"Ask for online link to the highly detailed video, 465 pictures, aerial views, driving view, and details on home and vicinity; save time and gas, tour the property on your computer or tablet right now. 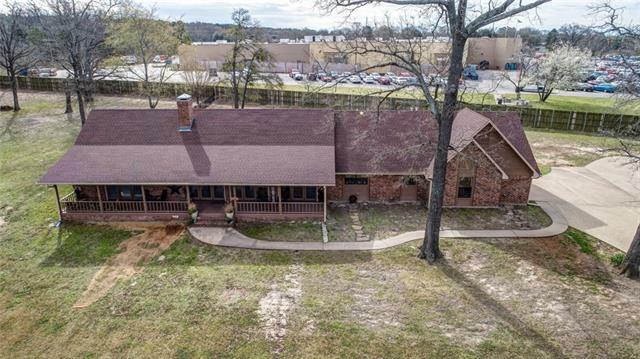 Gorgeous custom 5-4-2 brick home on 50 acres with 3 lakes, organic blueberry farm, hay pasture, with store, shop, RV hookup, steel-reinforced concrete storm shelter in drive-under garage. Outstanding quality construction. Great location; only minutes to wonderful Mineola with exemplary schools, liv"
"Gorgeous Cabin, beautifully appointed with spectacular views, there is even room to build another home. 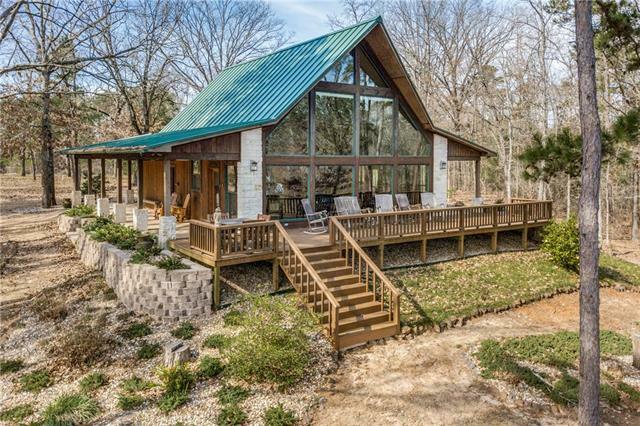 The home is sited on one of just 40 lakefront sites in Cross Pines Ranch, a 2155 acre shared ownership ranch. 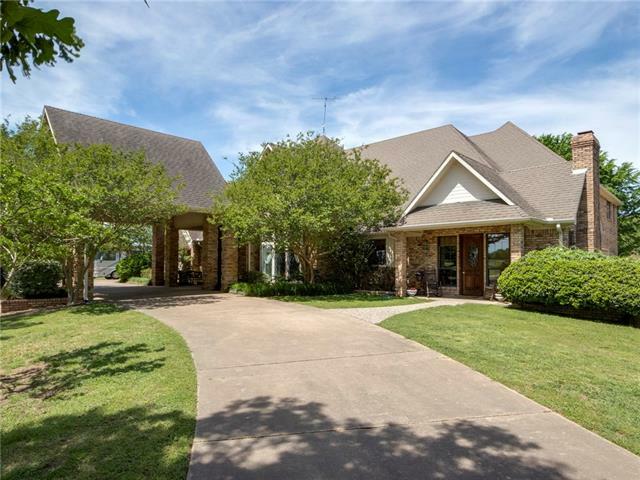 250+ acres of Stocked Lakes, Gun Club, Equestrian Center with Horses, Club house and pool, Open Spaces and Big Views! Ranch Manager & Staff onsite." 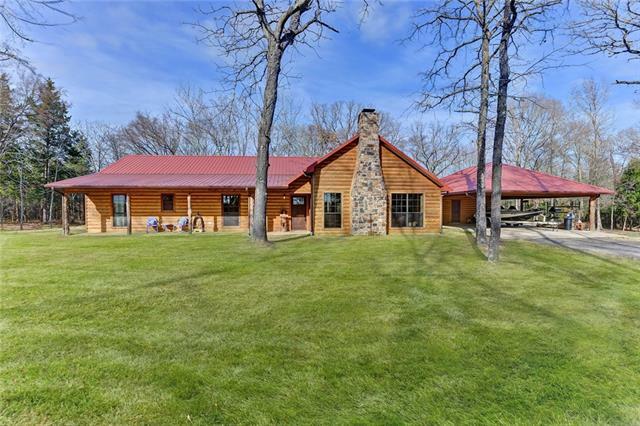 "Breathtaking Satterwhite Log Home on 65 sprawling acres featuring mature trees, fishing lake w boat dock, & stocked pond. Cross fenced for cattle & Bahia grass. Attached 2-car carport w storage. RV hook ups, workshop, concrete storm shelter, & large feed barn. Main home features inviting, open living area w stained concrete floors, vaulted ceiling, floor to ceiling stone FP & views. Island kitchen offers granite, tin accents & open dining area. Master suite opens to amazing covered deck w hot tu"
"Stunning elegance overlooking breathtaking view of private lake! 4324 sq. ft. of concrete & steel, high quality, durable beauty. Thick concrete walls, severe weather protection, & LOW utility bills. On the main floor, the Great Room affords inspiring lake view from floor to ceiling windows, impressive stone fireplace, & vaulted ceilings, a luxurious master suite with lake view, patio, with inspiring bath. Kitchen & baths with concrete countertops. Fabulous hardwood & stained concrete floors. " 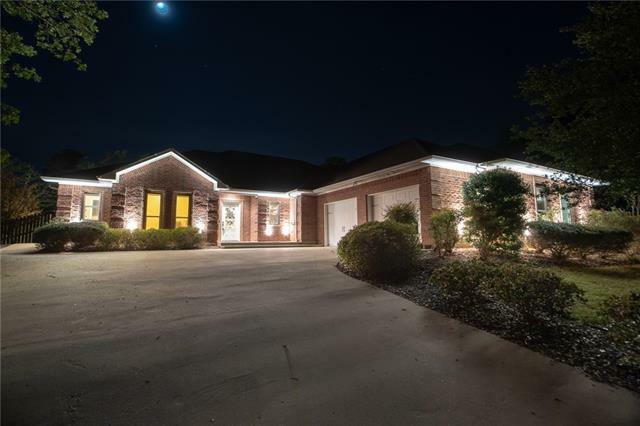 "Custom built Salado Ranch home sits on a hilltop setting. With 2539 sq. ft. living space, 3 bd, 3 ba, 3cg 1181 sq. ft. of covered porches surrounding the home. Guest House with 1 full bath and an open full kitchen and a large balcony for your guests to enjoy the views plus a covered patio. Gambrel Barn with a workshop. Open family, dining and kitchen area with vaulted ceilings, tile and hand scraped wood floors. Tons of kitchen cabinets, a huge island and an over-sized butlers pantry. 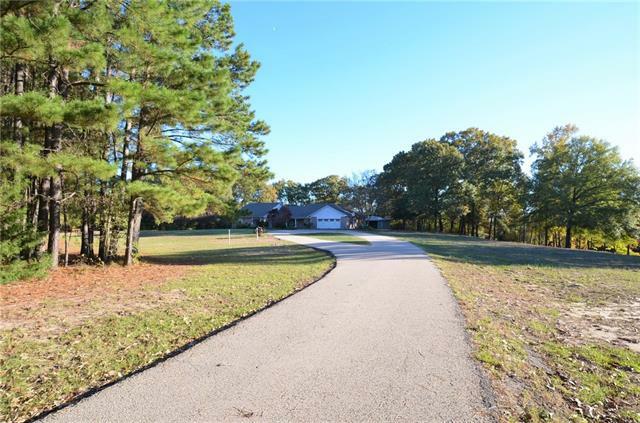 Tons of fl"
"As you drive through the soaring tree lined drive you will find a beautiful home, barn and 3 acre lake nestled in a private setting on 15.7 acres. 4 spacious bedrooms with each having their own bath. 3 bedrooms & 2nd living are on one side of home separated by main living. Both livings have fireplaces. Master bath has 2 separate dressing areas & closets with jetted tub & separate shower. 1600 sq ft deck on back where you can sit and watch the sun set. This home is private yet minutes from Hi"
"The perfect place to start making memories with your children and friend...Home is situated on 12 acres in Lake Brenda subdivision. 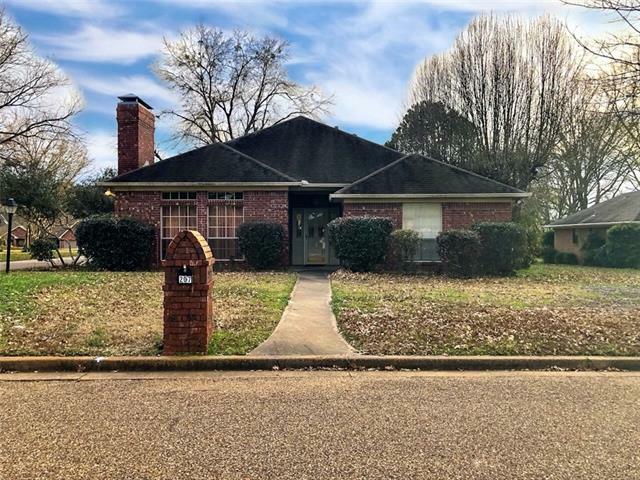 Beautifully updated with granite counter tops, fresh paint and fixtures, stained concrete floors, updated HVAC and tankless water heater. Threebedrooms with an office or 4 th bedroom and Sun room, open kitchen, dinning and living area and in ground pool for summer parties!!" "Private, quiet, and secluded this 19.98 acre property is the perfect escape to enjoy the outdoors with family. 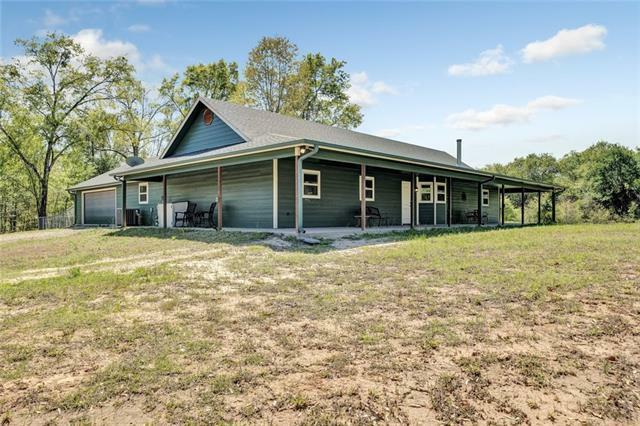 This beautiful farmhouse style home features 4 large bedrooms, 2 bathrooms, an office, huge utility room, sun room, 2 storage buildings-workshops, a stock tank, and wooded acreage perfect for hunting this home has something for everyone. The master suite is equipped with his and hers walk in closets and vanities, the large kitchen is perfect for whipping up a great meal, and the wrap ar"
"Bring it home to this gorgeous home on the hill. Sleek and modern with breathtaking views looking out over the pool area and miles of countryside. 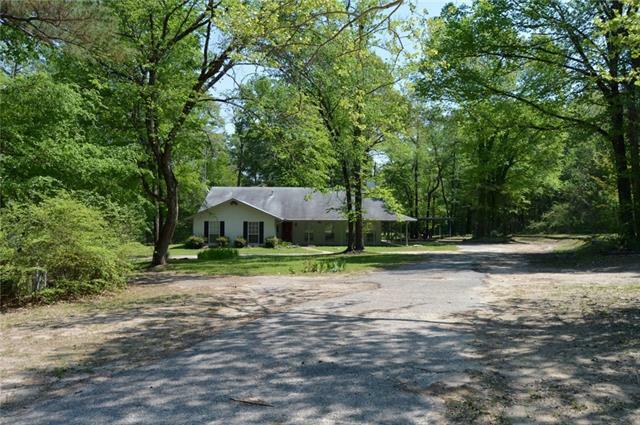 Privacy and outdoor activities are all afforded you on this spectacular 10 acre slice of east Texas. Walk the trails and enjoy the nature, creeks, wildlife and beautiful dogwood trees. This home is beautifully updated with impeccable modern appeal and energy efficient features including siding and split ac units. The covered patio with outdoor kitchen"
"3 BEDROOM 2 BATH HOME ON 52+ ACRES! Located in Mineola Tx, just outside of Quitman. This home has a great open floor plan with huge living, dining and kitchen area. Split bedroom floor plan, utility room, porches on 3 sides of home! Pond with bridge, workshop with tractor & boat storage & includes air compressor too! 52+ acres, with approx 1 mile of frontage on Lake Fork Creek. Appears to be flood plain along the creek, but no flood plain near any improvements. Property is fenced & gated as sel"
"Welcome to the country! 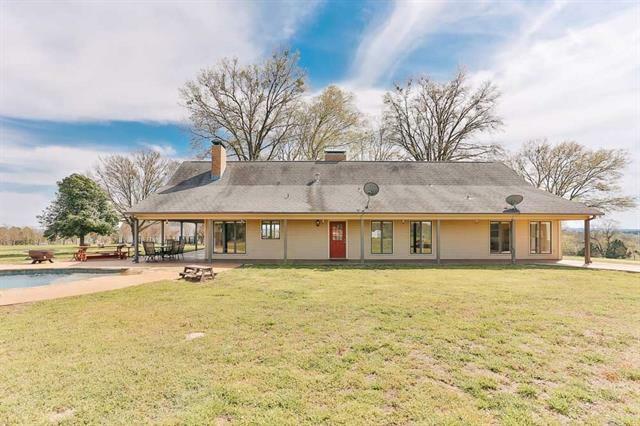 Over 29+ marvelous acres, lovely home, 4440 sf metal building includes 1358 sf of finished out livable area complete with kitchen, bath, office with built-ins, 2 large multi-purpose rooms and huge closet or storage room. Sprinkler system & water well for irrigation. 4 stall pole barn. Sit on the covered deck and enjoy the serenity. Property is located in Smith Co with a Mineola address in Van ISD. Comfortable home that sits back far off the road. The metal buildi"
"Whether you're entertaining guests, have a large family or you're just looking for a place to relax; this 3 bed, 3 bath home will be sure to please! 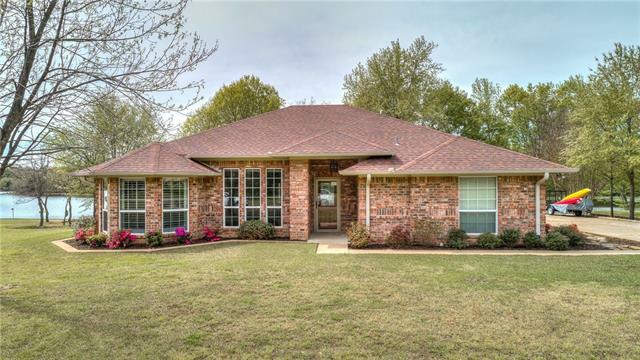 Conveniently located just minutes from downtown Mineola in the highly sought after Hickory Creek Subdivision. This home features a formal dining that can be used as a 4th bedroom OR office. There are 2 living areas, as well as a split owners suite. Oversized 2 car garage is approx 900 SqFt. 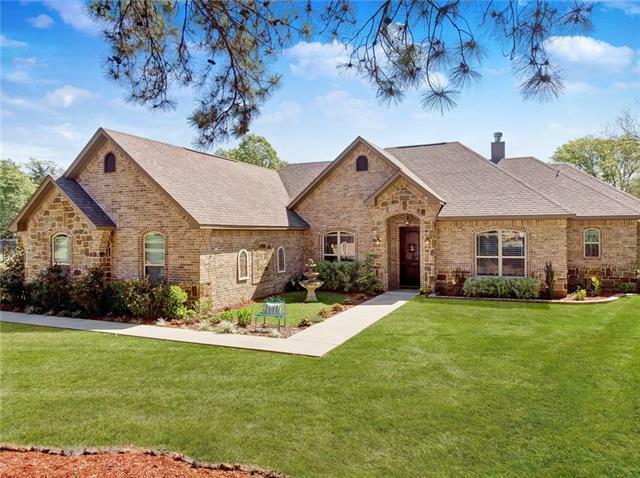 Covered back patio runs the length of the home and is coupl"
"Stunning custom home,over half acre mature trees. Open concept living, dining, kitchen and breakfast rm.Beautiful travertine flooring in wet areas & attractive upgraded laminate for easy maintenance. The kitchen has ss appliances, beautiful granite counters & plenty cabinets, prep space with pantry. Serving bar & breakfast area with views to fenced backyard & attractive wooded acreage. Split huge mstr bedrm, feature wall, decorative tray ceiling ensuite, sep walkin shower, soaking tub, water clo"
"Subject is maintain, Carpet and vinyl flooring. 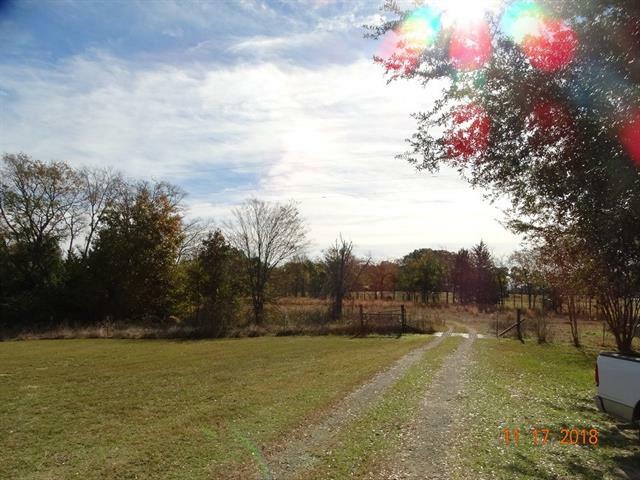 16.9 acres of property with a pond. This property also has a manufactured home of 1904 SF with 3 bedroom, 2 bath, and single car oversize garage. Great setup for a family who would like to be close together. The site built home has a front porch, fireplace, and kitchen & dining. Micro wave is to be replaced in the next few weeks or before closing. The manufactured home has some updates, large front porch, and fenced back yard. There is a tack buil"
"Look no further for your country dream! 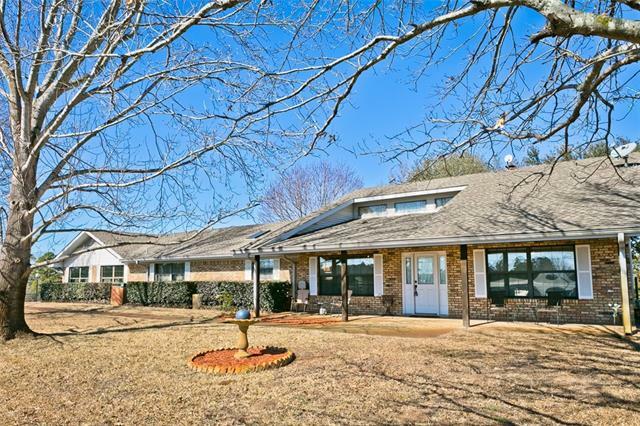 5br-3bth home on 3.58 acres! All bathrooms newly remodeled! Fresh paint and new carpet. 2 masters and 3 large living areas. Formal dining plus large breakfast area off kitchen. Oversized utility room. Mud room by back door. New HVAC. Generator covers whole house in outage! 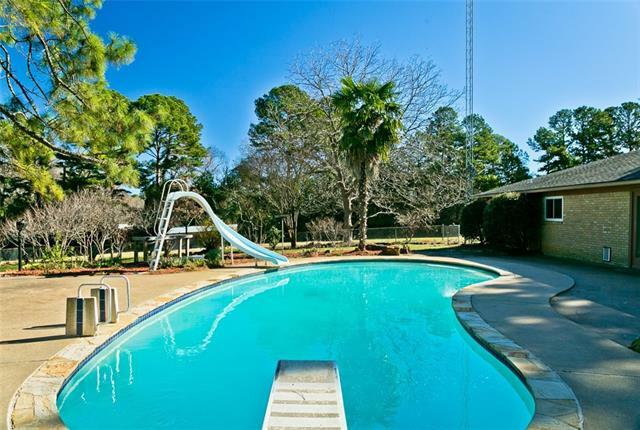 This home comes complete with a saltwater pool and guest quarters in back with kitchen! Storage shed has treehouse on top! Structure in back could be used as chicken coup, goat barn..wha"
"Amazing beauty in sought after Spring Lake Subdivision!! Very well maintained, updated home on a large lot! 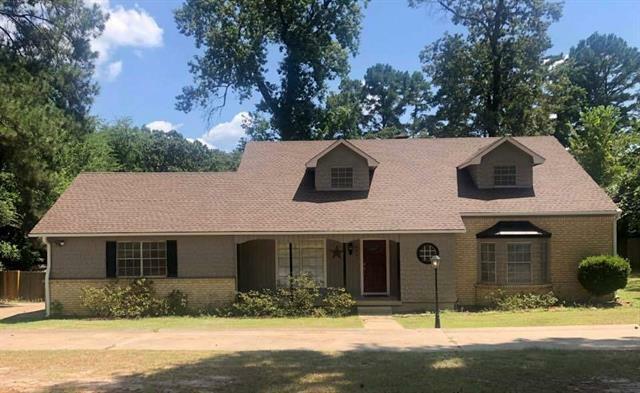 3 bedrooms, 2 full baths, formal dining, game room, 2 car garage, and a storage building await you! Recent updates include but not limited to: granite countertop and new backsplash in kitchen, new stainless steel appliances, new cabinet hardware, new sink, faucet, garbage disposal, wood floors, porcelain tile flooring, crown molding, bead board, baseboards, custom blinds, interior complete"
"BEAUTIFUL LAKEFRONT VIEW!! Waterfront home. 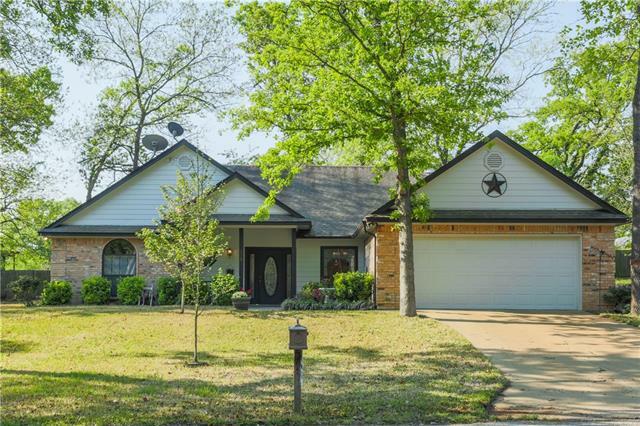 Located smack in the middle of Mineola on private community lake. This home is move in ready. 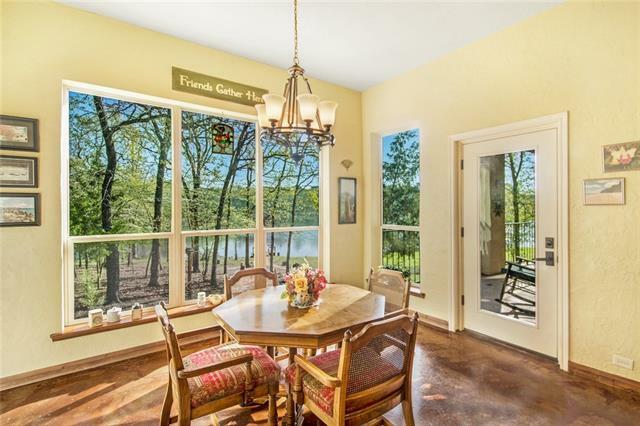 Wide open lake view from spacious living room with wall to wall windows and hardwood floors. Spacious kitchen with build in microwave, gas range, pantry, island for extra storage and a breakfast nook. Master is split bedroom arrangement with large bath overlooking the lake. Enjoy the outdoors with a stone pergola covered patio and 2 decks leading to your "
"Beautiful home in Spring Lake with a great 2,330 square foot floor plan offering 3 bedrooms 2.5 bathrooms, all with large closets, an entryway, formal livingroom, formal dining, breakfast room, large kitchen with beautiful cabinetry, an island, a breakfast bar, a pantry cabinet with pull out shelves and more. The Office-Study room has glass french style doors and a closet. Office could be converted to 4th bedroom. Master bath has double vanity, garden tub, shower and extra cabinet space. The gue"
"Very nice 3br 2bth in small private subdivision. Only one road terminating in a culdesac so no through traffic. Home has formal dining and kitchen nook. Good size kitchen with moveable island. Tray ceilings. Split master. Large entryway ready for your decoration! Large covered patio. Outbuilding and detached one car garage in addition to attached 2 car garage. Large lot with plenty of trees! This home has been well maintained and is move in ready! Make your appointment today!" 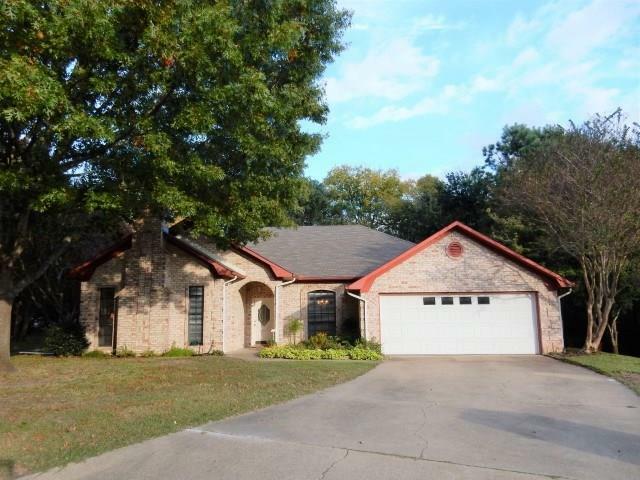 "You will fall in love when you drive up to this four bedroom with two and a half baths home . Cool off on those hot summer days in your own in ground swimming pool. Home features Master bedroom downstairs and also a guest bedroom, with two additional bedrooms and bath upstairs. Home has large living room and dining area combination and also a den with wood burning fireplace opening to breakfast area and kitchen with granite counter tops. Huge back yard! Schedule appointment today!" "REDUCED!!!!! Enjoy your morning coffee on the front porch of this beautiful home on 1 acre with view of Lake Brenda. 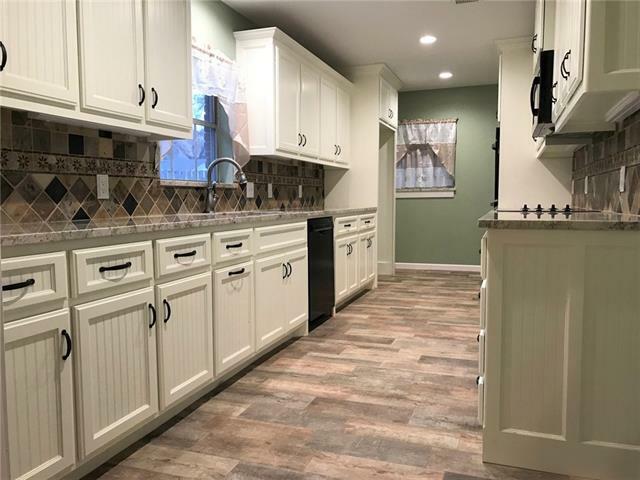 Lots of updates on this home, including new kitchen with granite counter tops, new appliances, fresh paint throughout and new flooring. Large dining room, and a huge living area with wood burning fireplace. What once was a large second living area has been converted to a mud room or office with pantry and freezer space and a large 4th bedroom. New gutter system with french drain"